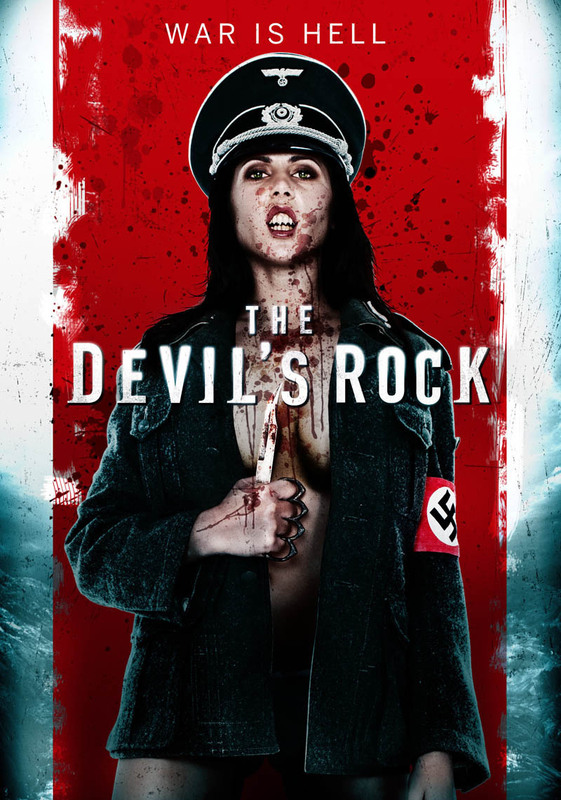 The Devil's Rock (2011) is definitely "Nazi worst" World War II occult mash-up ever, though I suppose that atrocious pun is probably punishable as a war crime. What can I say - it's been a long week, and several consecutive nights of too little sleep is catching up with me. This was put on with the intent that it would serve as "white noise" to mask my tinnitus and hopefully lull me to sleep with its hopeless inadequacy. Seriously, look at that poster . . . I really thought I was about to be served something way sillier and more exploitative than what I got. Then I got sucked in by this tale of Nazis, double-crosses, and scheming succubi. Who knew? First time director and co-writer Paul Campion masks his modest budget well by using limited locations and a cast of only about half a dozen performers. There's nothing wrong with that if you can tell a compelling story with limited resources, and he does. 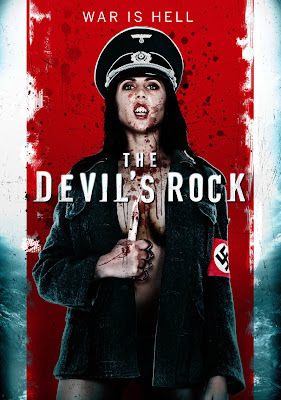 One Nazi, one Kiwi, and one succubus summoned forth in the service of an occult driven German master plan to unleash Hell on Earth - what more do you really need to make a solid, pulpy little thriller? Figure in solid, serious minded performances from the three principals and a fun demon design provided by the Weta Workshop, and you've got yourself a pretty solid little B movie. What lonely soldier wouldn't fall for this? Campion sprinkles in a sufficient number of allusions to actual events to lend the The Devil's Rock authenticity, but what really sold it for me was a central narrative built around the conceit that the demon feeds upon the loneliness inherent in wartime. You see, being separated from loved ones - or worse yet, losing loved ones altogether - leaves the grunts on both sides of the ideological spectrum easy prey for the succubus. No one wants to be alone, right? The older I get, the more sensitive I become to that theme. Being, I suspect, well past middle age now, the notion of growing old alone terrifies me more and more with every passing year. Would I be tempted by an offer of even the semblance of happiness? Would I sell out my principles for the opportunity to grow old with a cherished other that I thought was gone from my life forever? That pause for reflection keeps getting longer . . . Like the succubus herself, The Devil's Rock economically preys on that most human of weaknesses. What a vile and insidious weapon that would be - and it can work even when you know it's being used against you. A Nazi giving head to the demon. This relationship is doomed to failure. Of course, getting your head bitten off is bad, too. The Devil's Rock works on a lot of levels. Gunnar Nathaniel Cupp Has Arrived!